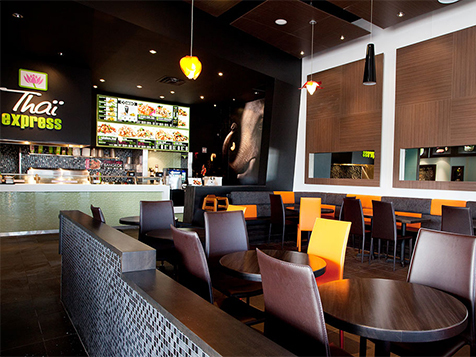 How do I buy a Thai Express Franchise? 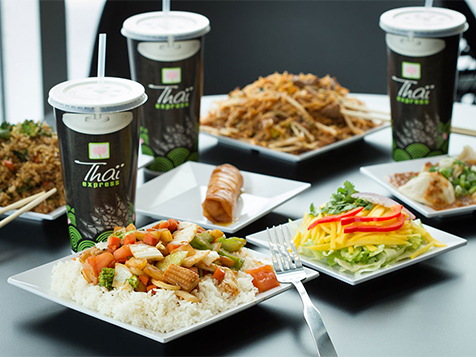 Thai Express is one of the world’s largest Thai food franchises. 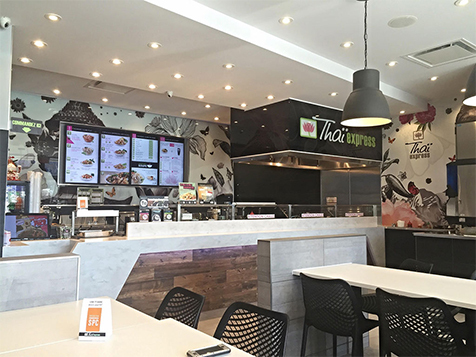 Thai Express franchise offers 2 models, mall food courts and in-line restaurants. Thai Express requires a franchise fee of $30,000 with a total investment between $342,900-$758,700. Thai Express includes comprehensive training programs, simplified operations systems and high-visibility marketing and branding. Whether you're wanting an owner-operator single restaurant, or you have designs to become a Thai cuisine mogul. Open Thai Express in any of these available states: AK, AL, AR, AZ, CA, CO, CT, DC, DE, FL, GA, IA, ID, IL, IN, KS, KY, LA, MA, MD, ME, MI, MN, MO, MS, MT, NC, ND, NE, NH, NJ, NM, NV, NY, OH, OK, OR, PA, RI, SC, SD, TN, TX, UT, VA, VT, WA, WI, WV, WY.